Like every year, CES 2019 showed us plenty of new interactive robots from all the biggest companies and most important startups. Here are the four most impressive. Just like all the CES events in the past, the CES 2019 tech show wouldn’t be complete without the participation of robotics companies from all corners of the world. This year, hundreds of robots graced the exhibit hall of CES, but only a few genuinely became show stealers. 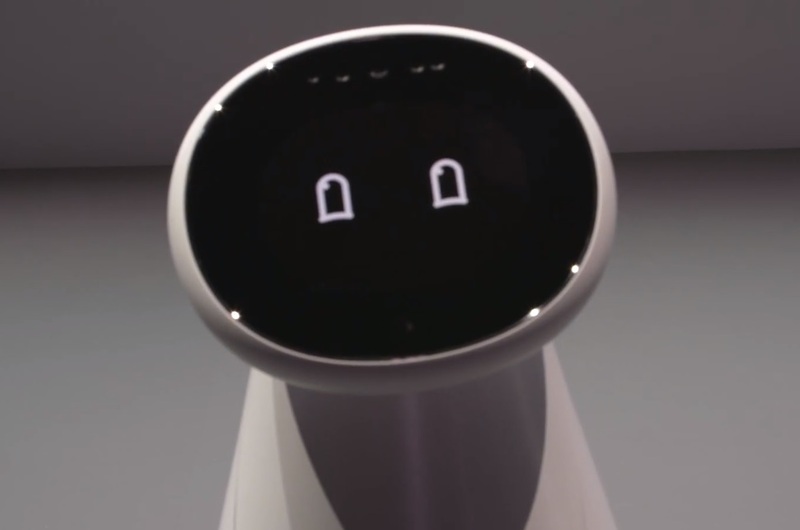 Here are four of the friendliest and most interactive robots from CES. Samsung has once again utilized CES to give the public a peek into the future of Connected Living. This year, Samsung demonstrated the company’s latest robotics developments through the Samsung Bot Care. Bot Care is a companion robot designed to assist people with health care needs. The roll-around robot has a glossy white finish and a rounded screen for a face. The screen can display the bot’s programmed emotions as well as other information related to the user’s vital statistics. 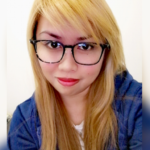 The Samsung Bot Care can communicate with its owner through its voice and can offer some health-related recommendations like exercise or stretching guidelines, medication intake, and sleep monitoring. Its sensor enables it to read vital statistics like blood pressure and heart rate. It can also send messages to a user’s immediate relatives or call emergency services in case of accidents. CES wouldn’t be CES without robotic pets. This year, one of the most popular is the AI pet robot Kiki from Zoetic. 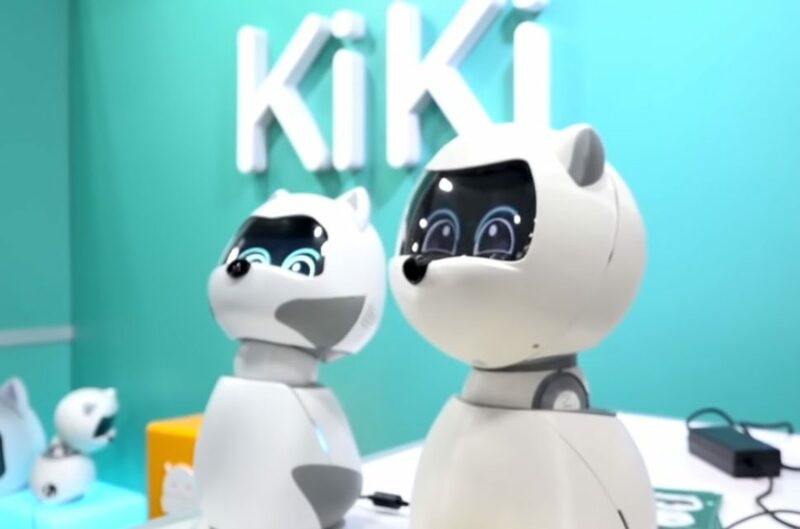 With a pair of anime-styled puppy eyes and a design reminiscent of Eve from the Pixar film Wall-E, Kiki is the kind of pet robot both adults and kids will adore. Santa Barbara-based Zoetic equipped Kiki with artificial intelligence so it can adjust by learning its owner’s personality. A camera is attached to its nose so it can better recognize and remember people. When locked on a person’s face, it can turn its head to follow the person’s movements. Kiki is also capable of cheering up people by singing and dancing. Tokyo-based Yukai Engineering Inc. is back in this year’s CES, bringing with it the emotionally responsive robot, Bocco Emo. 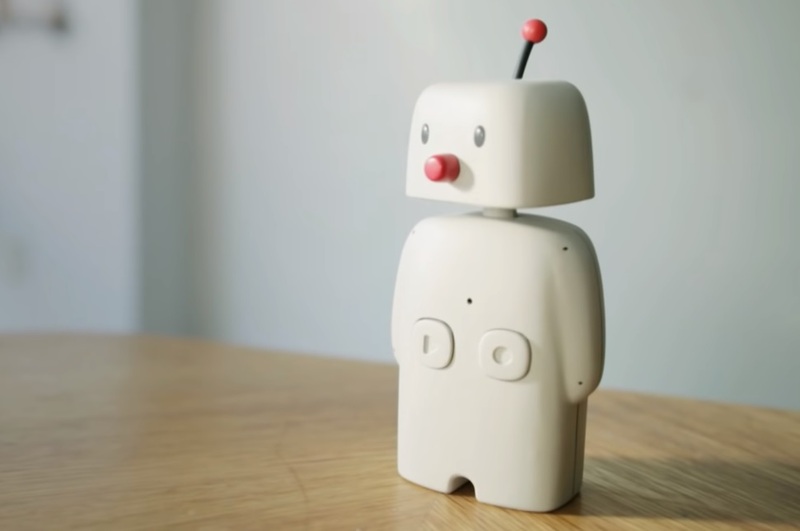 The companion robot is an updated version of the Bocco introduced in CES 2015. The Bocco Emo is capable of expressing empathy through sounds and gestures. The robot requires no trigger word to activate since the presence of its owner alone is enough to prompt a reaction. Bocco Emo | Yukai Engineering Inc.
Like other interactive robots this year, Bocco Emo can perform a series of tasks like reading text messages aloud and controlling smart home devices. Aside from personal use, Yukai aims to work with companies who need robot concierge or front desk greeting services. Bocco Emo is scheduled to be released in the fall of this year. To make coding more fun and interesting for children, Educational Insight created the coding robot, Artie 3000. 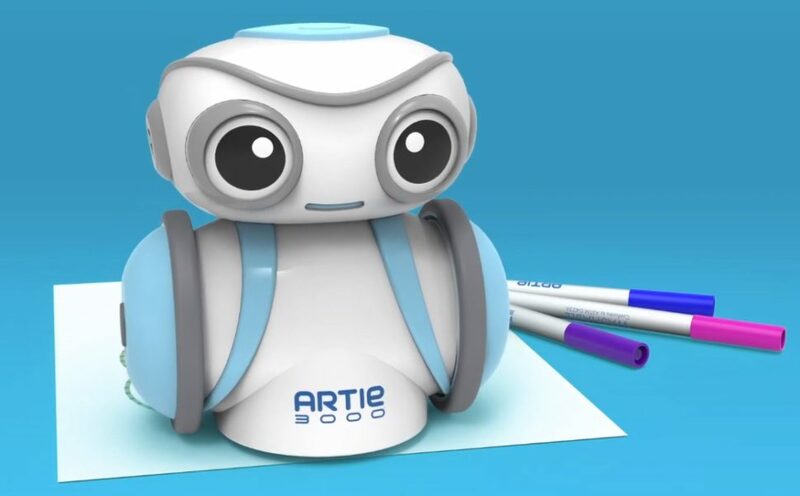 Artie 3000 is a drawing robot primarily developed to help kids learn how to code. The robot works by translating any “drag and drop” code from a computer into simple or elaborate drawings and designs. The kids can watch Artie 3000 draw on a sheet of paper what has been coded; line by line, moving in nearly all directions while it lifts and lowers four thin-tip, colored markers. Artie 3000 is compatible with any desktop computer, laptop, tablet, or smart device and doesn’t require an internet connection to play. The robot is also pre-programmed with numerous designs like letters and numbers, shapes, games, and line-art for kids to color. Artie 3000 was developed by Educational Insight in collaboration with Mensa For Kids to help foster critical coding skills in kids through artistic and creative inspirations. Do you think AI robots could ever replace humans as teachers or educators?